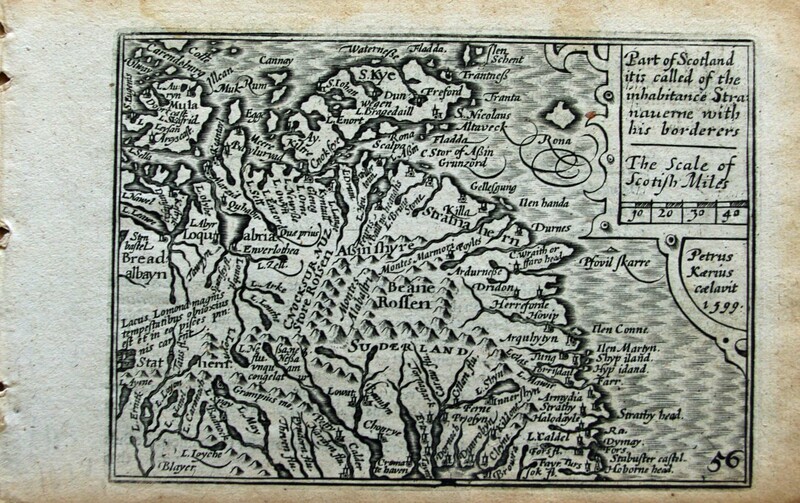 Peter Keere's map of Strathnaver published in Atlas form c. 1627 in what became known as the miniature Speed because of its small size (maps only measure about 12 cms x 8.5 cms). However this image seems to have been engraved as early as 1599. Considerable detail.